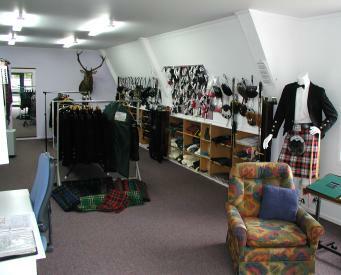 Our our kilt hire business operates from a temporary rural depot at 2371 Cambridge Road, Puahue, RD1, Te Awamutu 3879. Kilts and jackets with all the accessories can be seen by appointment best made by e-mail or ringing 07-8705242 between 8-9am or noon-2pm, 5-6pm. Tues-Fri. & Sat morning. Not open Sat afternoon nor Sun-Mon. 2371 Cambridge Road, R.D.1., Te Awamutu 3879, New Zealand.